The soft skills were extremely beneficial when applying for jobs, both gained from my placement and as a graduate. 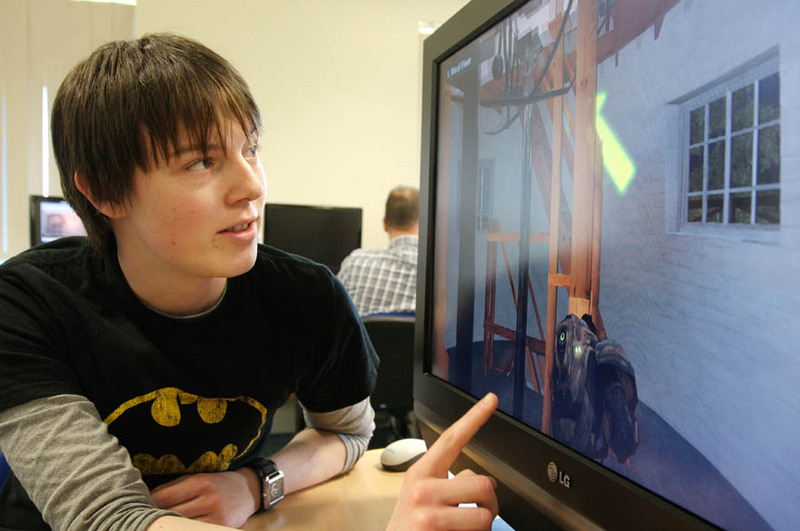 "I chose this course after studying A-levels as it offered programming with game design. It also allowed options in other areas for me to try out and help decide which path I eventually would take. "Learning the methods to calculate physics, collisions, impacts and deformities within games proves how difficult it really is, and how we take computers for granted in video games. "The soft skills were extremely beneficial when applying for jobs, both gained from my placement and as a graduate. It doesn't matter how brilliant a coder you are, it is more important that you can work in a team and be able to present your ideas in a constructive manner. "I did a year placement as part of my sandwich degree at IBM Hursley. I was creating documentation for one of IBM's most prominent software WebSphere MQ. It wasn't the most technical job, so I voiced my concerns with my manager, and got to take on side projects that were very technical, like working on a RFID tagging system to conduct automated displays. Even though the role I was given wasn't technical, I still had a great time because of the opportunities I was given in the company, and the great people that I met. It made me really want to return as a graduate because I had learnt how the company operates, and how the chances for promotion or role switching were presented very easily so long as you applied yourself. It was a no brainer to return and benefit from a year's experience and the fresh technical knowledge bestowed upon me from placement." "I currently work for IBM as IT Support for Linux. I help maintain the hardware and software that the testers use to stress test the latest and greatest applications created on site. I specialise in all Linux distributions, so the role is really giving me a deep technical insight into the platform at an expert level. "The most useful part of my time at University was my placement, which gives a full insight into working life. When starting out my sights were set pretty tightly on video game development, but the course taught me about the whole world of software development, and how competitive it is to be in video games design."